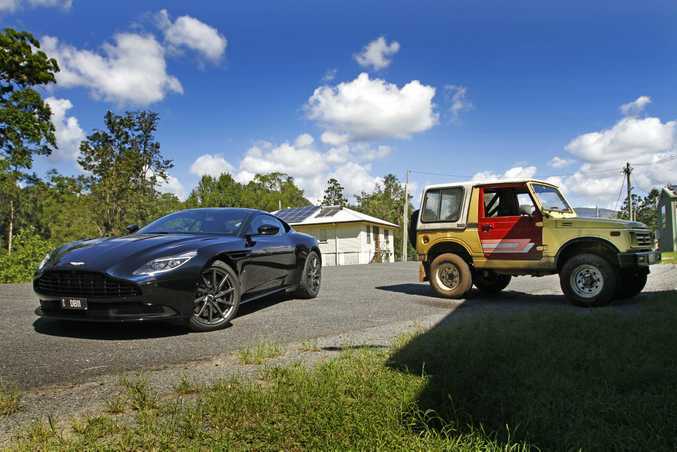 It is suitable transport for the world's best-known secret agent, and Aston Martin's new DB11 has been inspired by James Bond's DB10 - a non production limited run car made for the 2015 film Spectre. 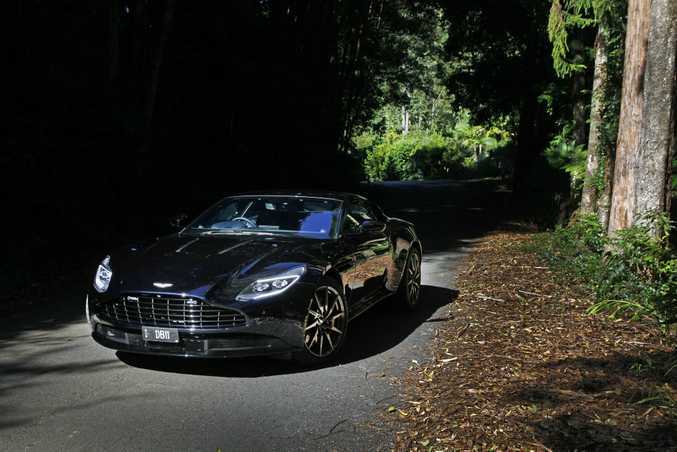 And the road-going DB11 does look very special indeed. A tuxedoed Daniel Craig wouldn't look out of place hopping from one at the Casino de Monte Carlo. 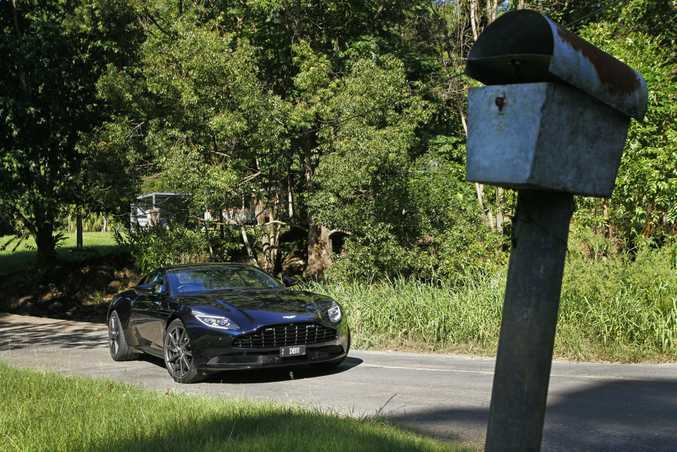 Deliveries have already started, and reflecting the car's popularity and the disposable income some fortunates have, the initial Launch Edition versions have already sold out, as has Australia's allocation for all DB11s for 2017. 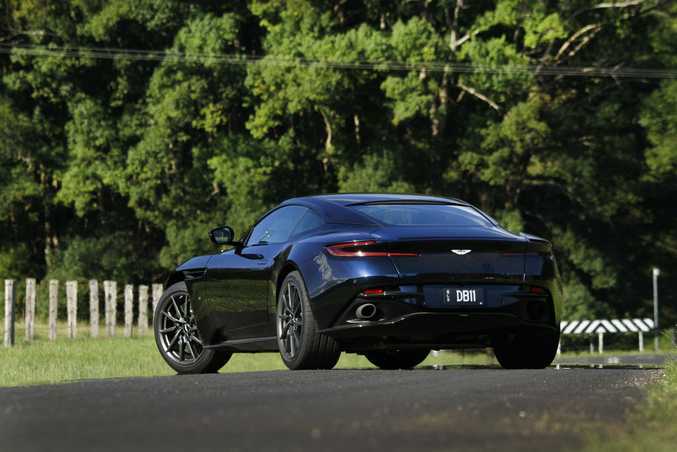 I drove Aston Martin Queensland's demonstrator DB11 Launch Edition which cost $428,032 before on-roads. Options boxes had been ticked to up that to $494,000, but sticker price for one out of the box now is $395,000. Lots of money, sure, but not unreasonable when you consider the style, speed and technology of this bewitching Grand Tourer. Aston and 007 will tell you nothing, but realistically, there's the Bentley Continental GT (from $402,600), Mercedes-AMG S63 Coupe ($414,715), Maserati GranTurismo Stradale ($345,000) or Ferrari GTC4 Lusso ($503,888). Told you it was good value. Relatively. Why should I pick the Aston then? Theatre and class. I mean, just look at this thing. 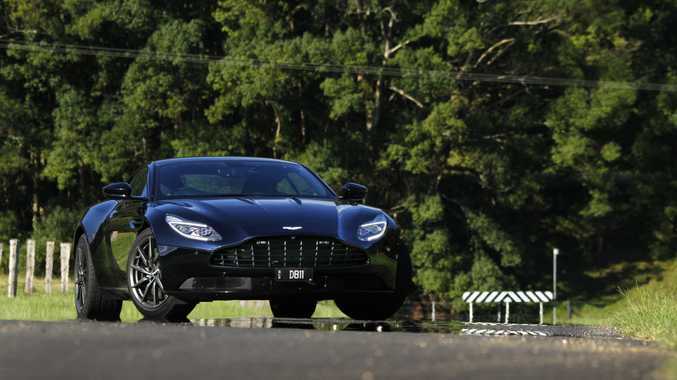 Aston itself has called the DB11 its most significant new car since the DB9 was introduced in 2003, it being the most powerful, most efficient and "most dynamically gifted" DB model in Aston Martin's history. She is pretty, isn't she? My test car came in Ultramine black paint with Dark Knight cabin leather which sadly somewhat masked its delicious curves. For proper drama, but maybe less subtlety, there's Frosted Glass blue or Cinnabar orange in the colour palette. Most striking design-wise are a new Aston grille which should set the tone of future models from the brand, plus an imposing and curvaceous clamshell bonnet framing the all-LED headlights. That lovely roof arc, its wide rear arches and no rear wing to spoil the pure lines...it just begs to be driven. 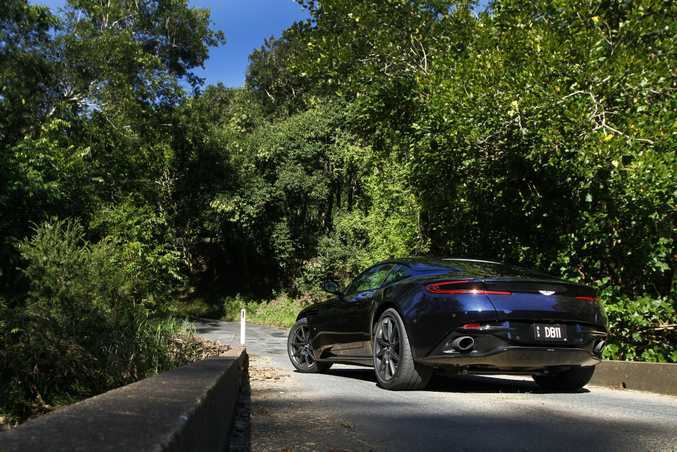 Aston Martin Queensland handed me keys, pointed me in the direction of some stunning driving roads under clear blue skies and told me to be back before closing time. 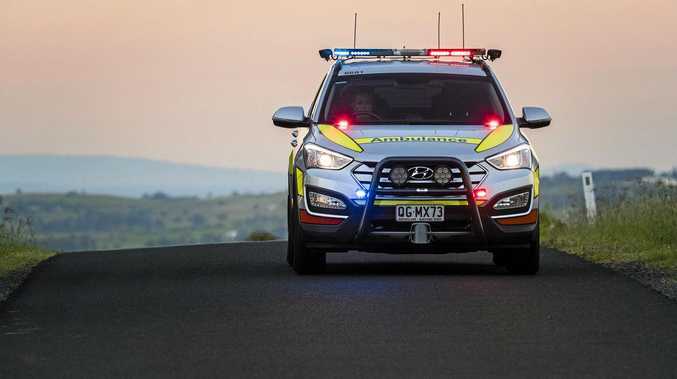 That meant a cruise away from the restrictions of the Gold Coast, along twisting National Park roads into NSW, through Murwillumbah and a destination turnaround at the Mt Warning Rainforest Park. Enjoyed from a very sporty position. 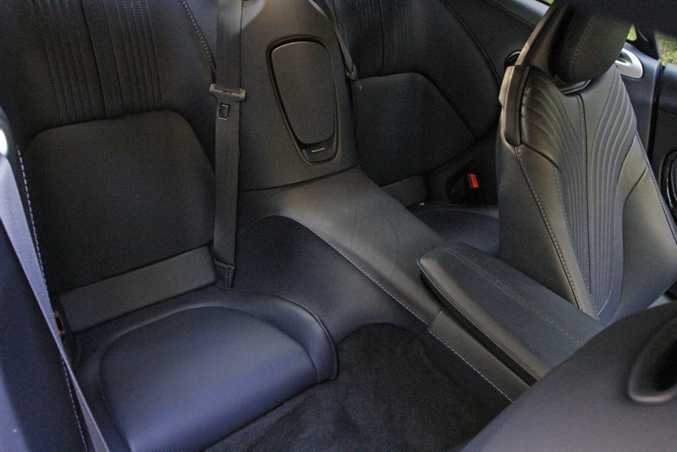 You are gripped by firm and supportive leather seats and can electrically drop yourself into a very low position. The DB11 may be a Grand Tourer, but its very sporting intentions are welcome as you grip the sculpted, slim steering wheel. Every surface is leather coated, an imposing waterfall-esque control unit with top-mounted screen dominates the dash centre, while nicely angled vents and sleek shapes for the door handles add class. It's not dripping in wow factor luxury inside, and I could take or leave the optional "satin chopped carbon" door inlays, but I loved the electric opening centre armrest. It just needed an ejector seat button under it to be fully Q Branch. Aston has a technical partnership with Daimler AG, so there's a very Benz rotary dial and swipe pad in the centre console, quality 8-inch infotainment screen and a full colour 12-inch LCD display behind your steering wheel. It's all brilliantly intuitive and exactly what's needed for those long luxury GT journeys. Okay, what's under the hood? While its predecessor DB9 used a 5.9-litre V12, the DB11 drops displacement a tad with a 5.2-litre V12. But now we have turbos. A brace of blowers gives 447kW and 700Nm, meaning a 0-100kmh dash of just 3.9-seconds. Tap the start button and there's a beastly roar to wake the neighbours. No conventional auto gearshifter here: you select Drive, Neutral or Reverse using dash buttons, and control your shifts through paddles behind the steering wheel. Actually really refined around town. A bank of cylinders shuts down to conserve fuel at gentle throttle, while handy thumb-reach steering wheel buttons let you switch between drive modes - GT, Sport and Sport+. It feels relaxed and in no way crashy over road imperfections. Definitely a true GT car rather than a compromised pure sports tool. It'll still do the sport bit though? Oh yes. How could it not with an Aston-designed twin-turbo V12? 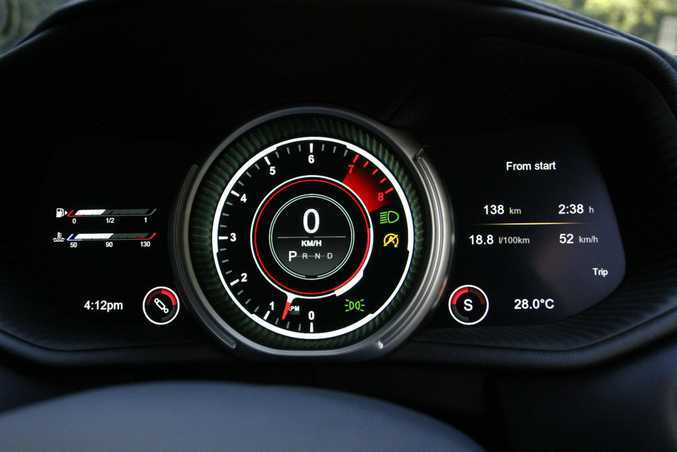 Press the Sport or Sport+ button and the engine note and response intensifies, the gear shifts and steering sharpen up and the adaptive dampers firm to up the agility. 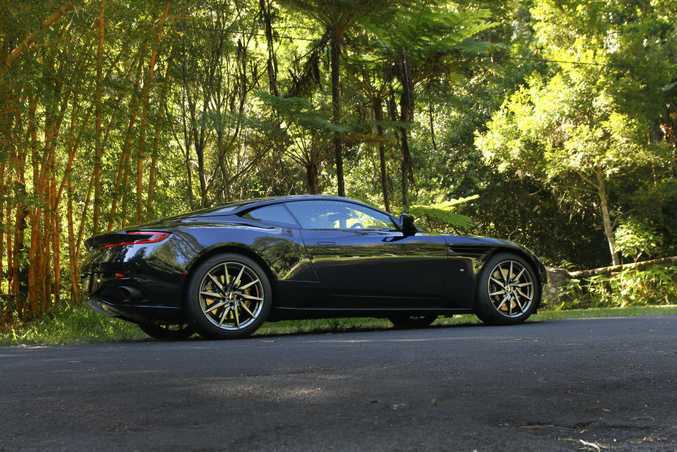 Unlike, say, Ferrari's new twin-turbo V8 the Aston's power is never scary or seat-pinningly aggressive. What you get is a wall of power and torque that seemingly never ends. It just pulls and pulls with measured grace - as a good V12 should - and it hides its turbo nature well. The rapid way you eclipse three figures reminds just how potent the speed is though. Balance, steering and grip are all quite brilliant. It is an easy car to drive fast and well. It rewards bravery in corners, and although it still feels a big and sometimes heavy GT car (its dry weight is 1770kg), so quick is the steering and the response from the V12 when revs are up that it does the playful sports car bit very satisfyingly. It's all too tempting to be forever dropping a cog or two and enjoying that roaring Aston V12 song too. Pure addiction. I feel a Grand Tour coming on.. It would be a superb companion. After nearly four hours on the road I was suffering no ill effects and the DB11 proved comfy in town, highway and as a sporting delight on the twisties. Plus the response it got from locals was nothing but positive. Smiles, thumbs up and dropped jaws. It's one people love to see on the road. Can the family enjoy it too? Best for touring with just you and your ideal companion as the rear seats are comically small, albeit larger than offered on the outgoing DB9. Young small kids could manage the journey, but really, they'd spoil a good grand tour wouldn't they? Emergency seats only in the back, and there's realistically luggage space only for two and a long weekend away. Join the queue. The DB11 is hugely in demand and it's not hard to see why. 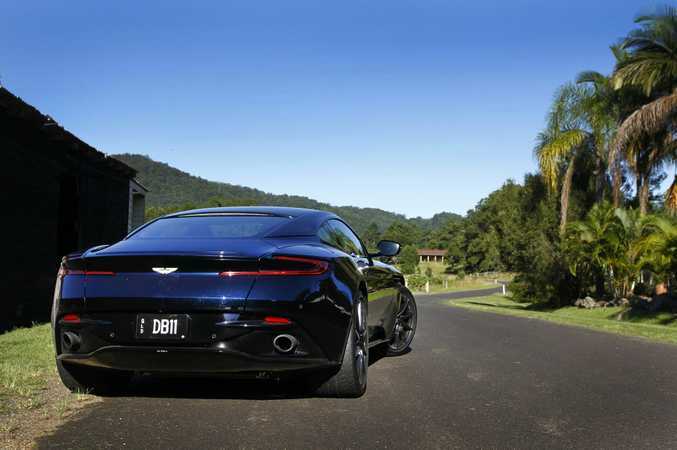 I can think of no more desirable GT car available today, Aston Martin delivering an intoxicating blend of stunning design, performance and a chassis excelling as a cruiser or back road plaything. Start saving now and you could have yours by 2018. DETAILS: Two-door, 2+2 seat rear-wheel drive Grand Tourer. 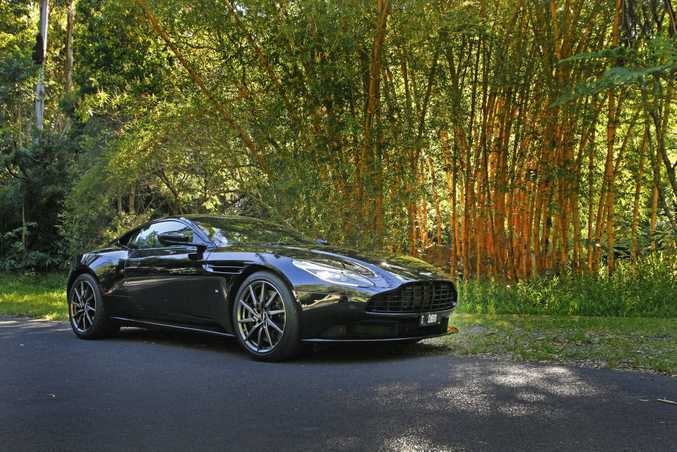 PRICE: $428,032 (Launch Edition); $395,000 (standard DB11); $494,000 (car as tested). All prices before on-road charges. ENGINE: 5.2-litre twin-turbo V12; 447kW/700Nm. TRANSMISSION: 8-speed ZF automatic with paddle shift. THIRST: 11.4L/100km (18L/100km as tested). PERFORMANCE: 0-100kmh in 3.9-seconds, top speed of 322kmh.